What’s Pooping In My Drawers? To be more accurate, drywood termites are the kind that actually have droppings show up falling out of their kick out holes. Ground termites produced the mud tunnels and build their droppings into these tunnels. We have 7 different species of termites in Hawaii, but the most destructive to our homes are the dry wood and ground termite. That being said, dry wood termites are often mistaken for either dust and dirt build up or sometimes there’s a occurance of “ant graveyards” that show up when spiders feast upon big headed ants in your home. It is the only species of ants that causes these ant graveyards, But it’s interesting that they’ll show up in areas where these big headed ants have sometimes pushed dirt out from their colonies in the wall that they build up. 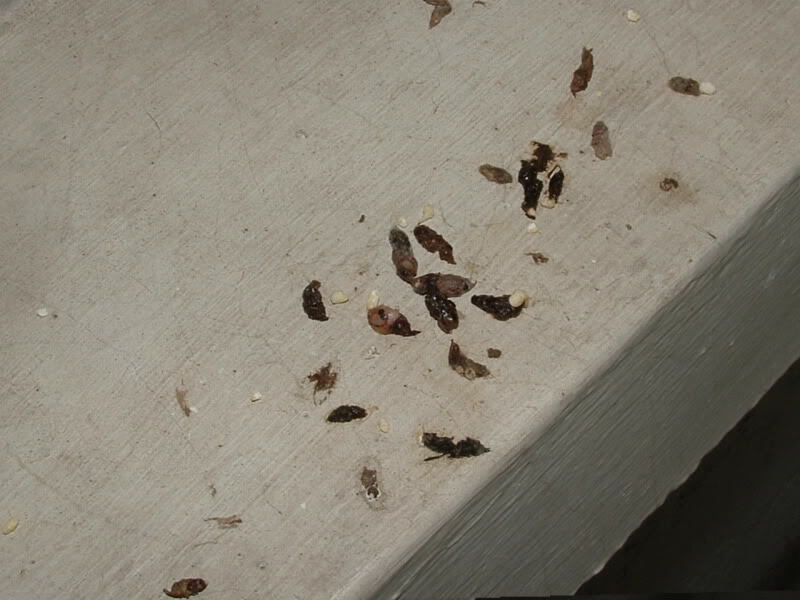 But back to termite droppings, these dried droppings can be anywhere in color from black to a very light tan light depending on the kind of wood. Sometimes they are also a brown and black mixture but they are identified by then look of dry sand granuals or pepper. 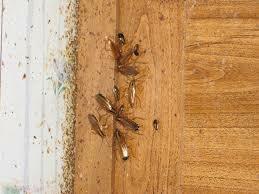 I’d almost rather have termite droppings than bedbugs. These nasty bugs from Satan are very difficult to control because of reinfestation from the original source, which is often hard to track down. 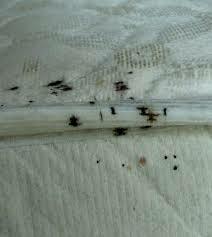 You’ll know you have bedbugs you blood stains on your mattress or sometimes sheets. Sometimes the first indication art bites, which a doctor can help you identify. 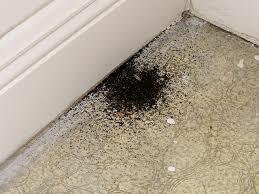 Here’s a picture of bedbug droppings. The main identifying characteristic of part of the droppings that is unique to reptiles. They can be the same size as mouse or even rat droppings, which can be of concern to people. However, except for the aesthetics, gecko droppings don’t have the same diseases that can be present in the poop of rodents. This is what we usually have the most questions about since it is surprisingly big and shows up into words where you might think there are mice, But where is mice droppings are rounded and look like black rice, American roaches produce dropping that have almost signs to them and flat and a lot of times that looked like it’s chopped up. ght pressure on their bodies, don’t find areas around the kitchen that they can squeeze into like cracks around the dishwasher and microwave as well as the small areas and motors in appliances. As mentioned earlier, rodents mice generally have smaller, rice sized droppings, but black. It is confusing since both American roaches and mice can make small holes in foodstuff boxes and bags making it difficult to identify just buy this habit. Not to get too graphic, but Rat poop is definitely the biggest of these pest droppings or skat as it’s sometimes called. We’ve included this handy diagram to show some of the sizes of different pest droppings. Whatever kind of crap you find in your drawers, There’s an answer for it, and we can help you. Subcontract the pest control to the guys and gals at kilauea that have a passion for expert pest service.